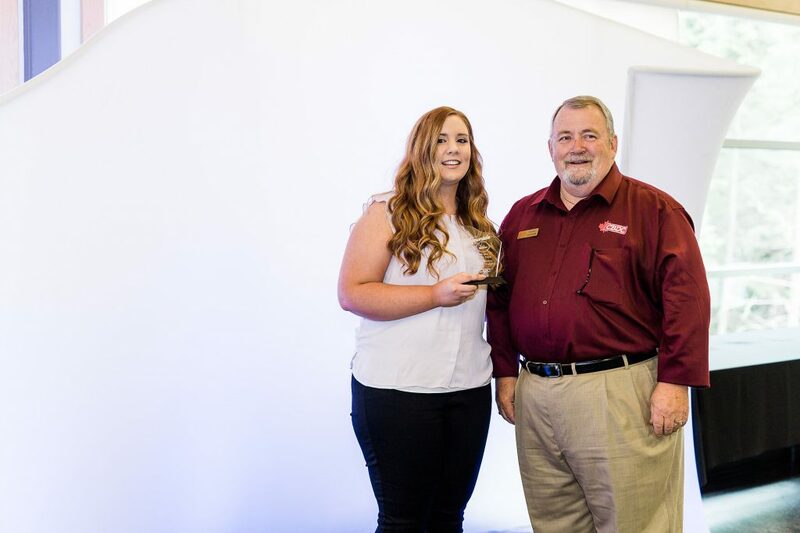 On August 9th, 2018, Youth Ventures celebrated the 21st Annual Youth Ventures Awards, presented by the CBDC. During this afternoon event, young entrepreneurs were recognized for their excellence throughout the summer program. 2018 was an amazing year for many youth in our province and we’re ecstatic to be part of their entrepreneurial journey. To learn more about the amazing, young entrepreneurs thriving in this province, check out their businesses below! 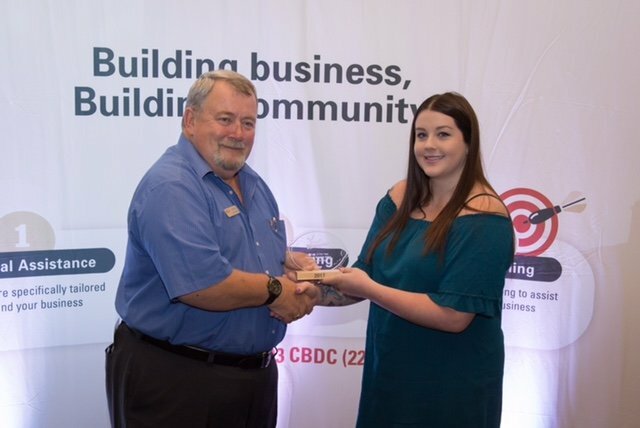 The winner of the Youth Ventures award for Venture of the Year, sponsored by NL Association of CBDCs, is Kimberley Dunphy. KMD DESIGN started in 2015 as just a home-based business where she only sold on Facebook and Instagram. Since then her Facebook grew to 16,000 likes, she created a website and opened up her own store at 193 Water Street in Carbonear. You can buy all her items in the store items include; wine glasses, coffee mugs, travel mugs, tumblers, saving jars and makeup brush holders. You can buy right off the shelf or work together with Kimberley and design your own custom creation. You can also purchase items on her website at any time, and she ships worldwide. When she first opened the store she just sold her items, and now she sell items from 4 other women entrepreneurs – 3 of which are made right here in Newfoundland. The others are jewelry, children’s accessories, sea glass creations, bath bombs and cards. 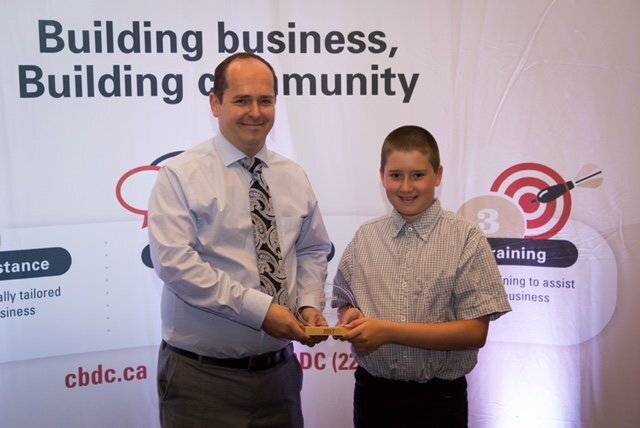 The winner of the Youth Ventures award for Excellence in Financial Management, sponsored by BDC – Business Development Bank of Canada, is Matthew Lawrence. Established in 2017, TutorNL provides professional educational services to students of all ages in the Conception Bay South, Paradise, Mount Pearl, St. John’s and surrounding areas. TutorNL is staffed by bright students of Memorial University and only has top performing students on their team. TutorNL’s services are managed out of their office at 120 Conception Bay Highway, CBS Commons. TutorNL’s services include private tutoring, test review, midterm exam review, final exam review, resume and cover letter writing, paper editing and review booklet packages. 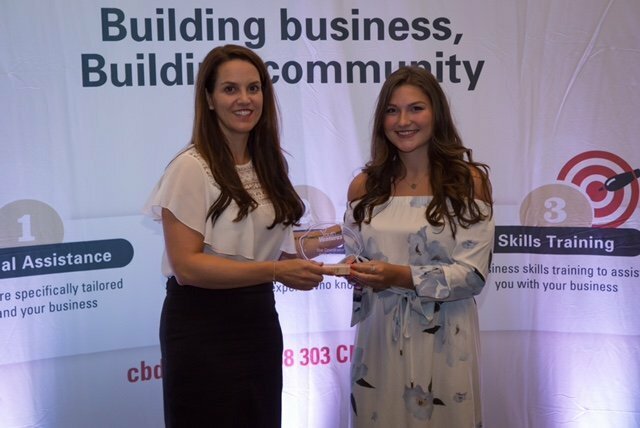 The winner of the Youth Ventures award for Excellence in Marketing, sponsored by Commonwealth Pharmasave, is Justine Anderson. Justine is the owner of Wild Flower Company in Port aux Basques. She makes and sells producs that focus on nourishing the Mind, Body & Spirit. Wild Flower Co.’s mission is to create all-natural handmade skincare that is safe for sensitive skin and not harmful for the Earth or it’s people. The skincare line includes Soaps, Bath Bombs, Bath Salts, Scrubs, Healing Salves, Lotions, Body Oils, Rose Facial Spray, & Tick Repellents all made from plants grown right here in Newfoundland. Wildflower Co. also caters to our Spiritual side and carries a selection of mystical handmade Dreamcatchers and Aromatherapy Candles. 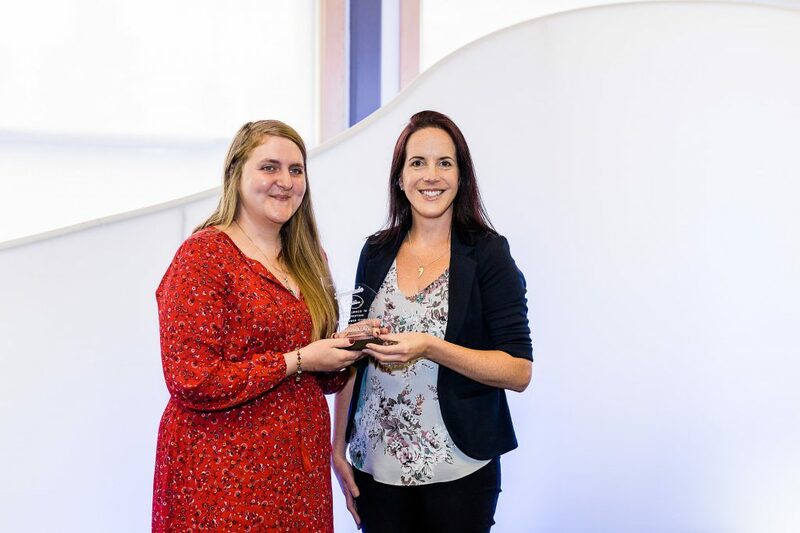 The winner of the Youth Ventures award for Outstanding Venture (17 years and under), sponsored by Newfoundland Power Inc., is Dariya Sooley. 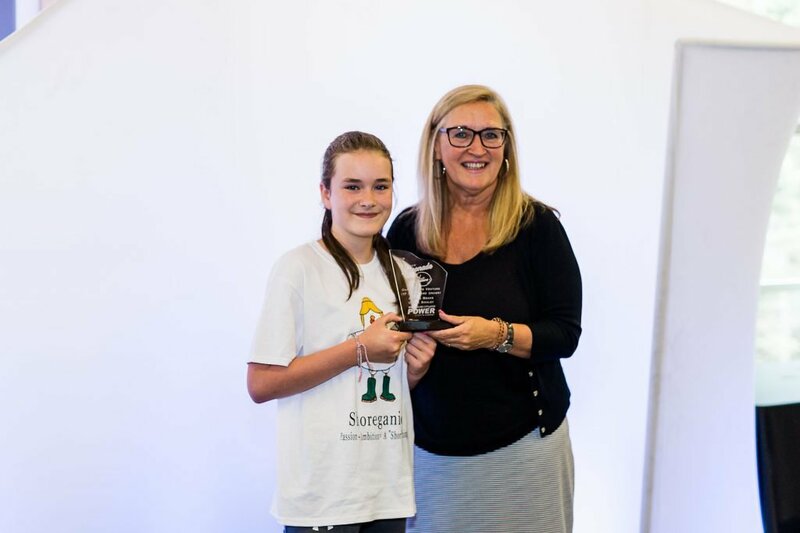 Dariya started with Youth Ventures this year focused selling eggs, ducks and chickens from her home with her business called “Bills and Beaks”. She became interested in this 2 years ago at the young age of 10 when she searched the internet for information on homesteading! Dariya is unique. She has a passion for animals, the earth and environment, and also possesses an incredible amount of drive. Over the past 2 years she has taught herself to make jam, skin animals & preserve the pelt, harvest antlers for dog chews, refine salt from the sea, and also care for an incredible number of animals and birds. She has a variety of breeds of ducks, chickens, roosters, guineafowl, and quail. She recently purchased a 45 lb turkey for her farm. She also has a variety of pets from dogs, geckos, a kitten, a corn snake, and a goat. Her care of these animals is nothing short of incredible. 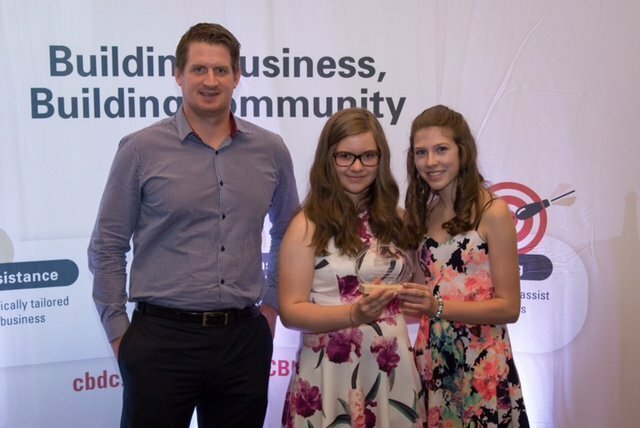 The winner of the Youth Ventures award for Excellence in Customer Service, sponsored by Jungle Jim’s, is Alyssa Barrett & Karlie Squires. The business A&K Candy Boutique is derived from the partners Alyssa Barrett and Karlie Squires. The business provides opportunity for local customers to avail of special hand-made candy bouquets, cotton candy and candy/caramel apples. Since opening their business in 2016, A&K Candy Boutique has attended many events and carnivals in the Trinity-Conception area which has proven their business to be very successful. They have also recently expanded their business to include cotton candy, caramel and candy apples. 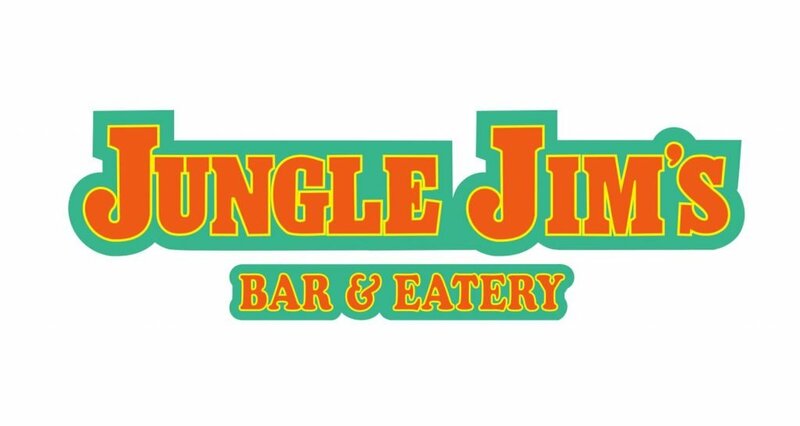 This has helped to grow their business venture even more. Last year they received the Excellence in Financial Management award through the Youth Ventures program and they are very excited to be back again. 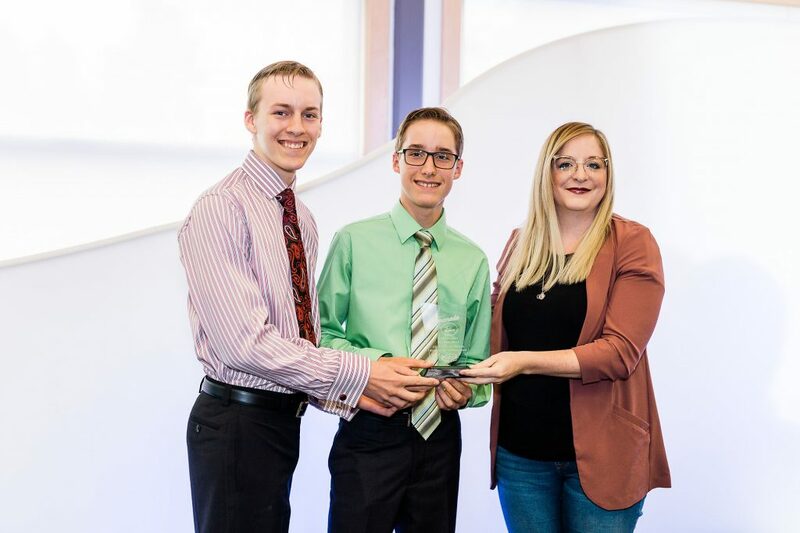 The winner of the Youth Ventures award for Trailblazer of the Year, sponsored by I Design Ltd., is Jonathan Sacrey & Micah Sacrey. Micah and Jonathan Sacrey live in Stephenville. Micah is 16 and Jonathan is 14. Their family had recently bought a 3D printer to print things as a hobby, but things changed when Micah heard about Youth Ventures through a presentation at his high school this past May. After telling his brother Jonathan about it, they decided that they wanted to use their 3D printer for more than just a hobby. By checking out ideas on the internet, they discovered lithophanes. A 3D lithophane is a piece of 3D printed biodegradable plastic, that is translucent which when put up to a light source, makes the hidden picture visible. Thus naming their business 3D Portrait Prints. To advertise their business they created a facebook page, and were present at various public events in Stephenville this summer. After some success with lithophanes, they decided to expand their products to include other 3D printed items. 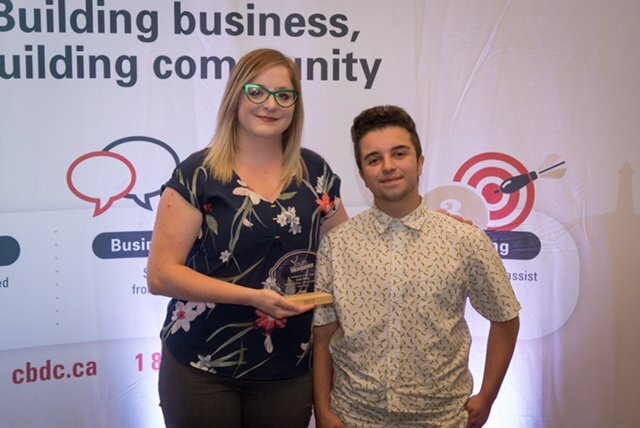 Through their advertising efforts and a lot of support from their family, and Bobbi-Jo, their Youth Ventures Coordinator their business has taken off and is continuing to grow. 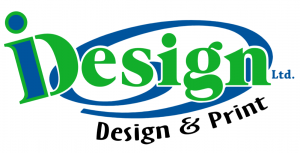 Since beginning in June they have sold almost $1000 of 3D printed products. As they continue to expand their product line they look forward to seeing how far they can grow this company. 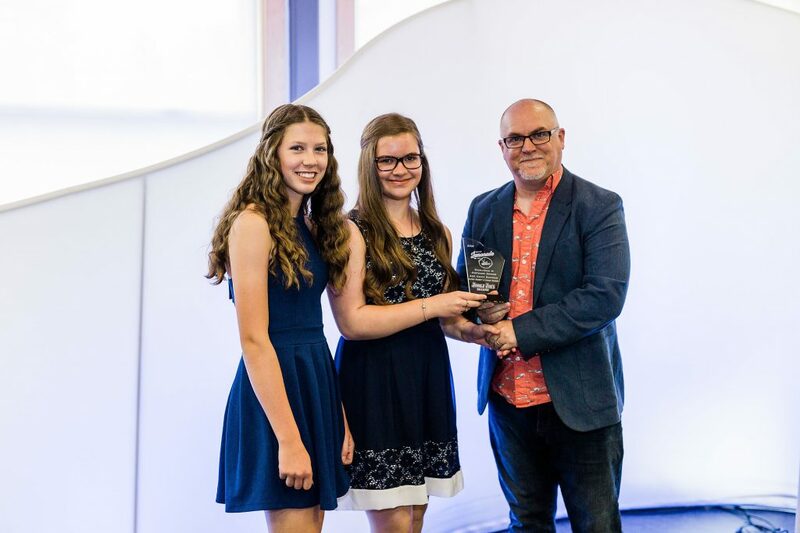 The winner of the Youth Ventures award for Excellence in Arts & Tourism, sponsored by Hospitality Newfoundland and Labrador, is Logan Humby. Logan operates his business Logan’s Bergy Bits out of St. Lunaire-Griquet. Having been in operation for two summers, Logan has gone from selling his iceberg ice on the side of the road to having his own little shop where he sells the ice as well as bakeapple and partridgeberry butter. He has even started selling the bergy bits at the local Foodland in St. Anthony! Logan’s business is catching the eyes of not only locals, but people from all across the country and the world, having even had a customer from Italy. 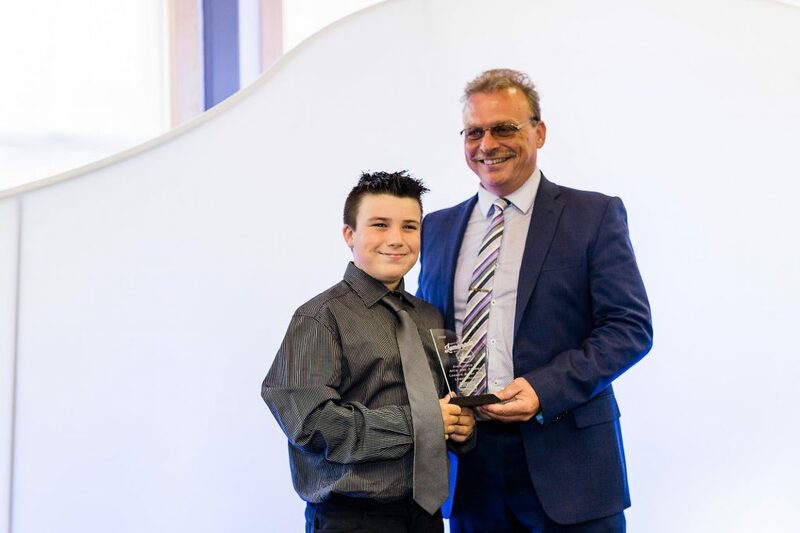 The winner of the Youth Ventures award for Star Coordinator is Gary Noseworhty. Gary has done an outstanding job delivering the Youth Ventures program in his area this year. Gary continuously works diligently to provide assistance, guidance, and support to the participants in his area. 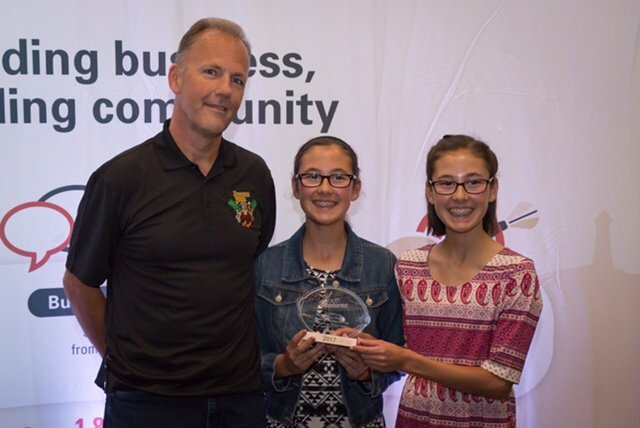 Always looking for new and creative ways to promote the Youth Ventures program, Gary began a video series featuring participants and demonstrating the entrepreneurial spirit that exists in our province. 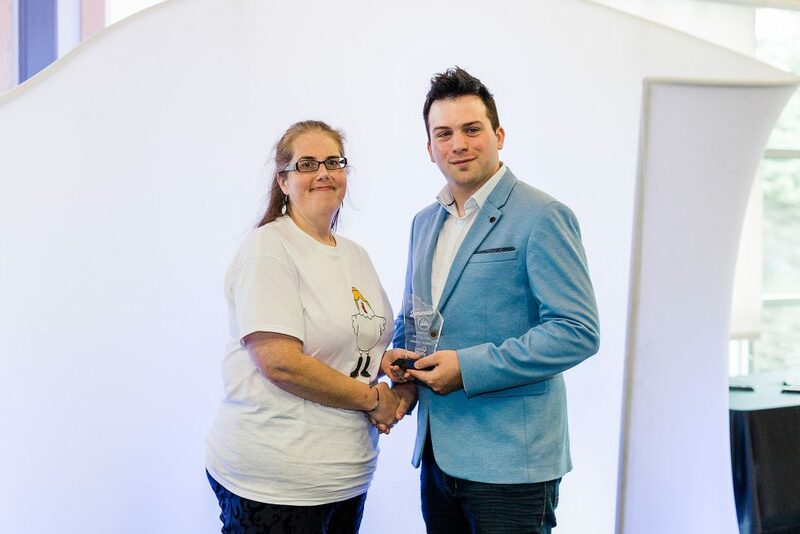 The winner of the Youth Ventures award for Mentor of the Year, sponsored by Event 3 Sixty, is Virginia McNeil. Virginia is a multi-disciplinary artist, a musician, a community leader, superb communicator and an unrelenting support for the young people in her small town. 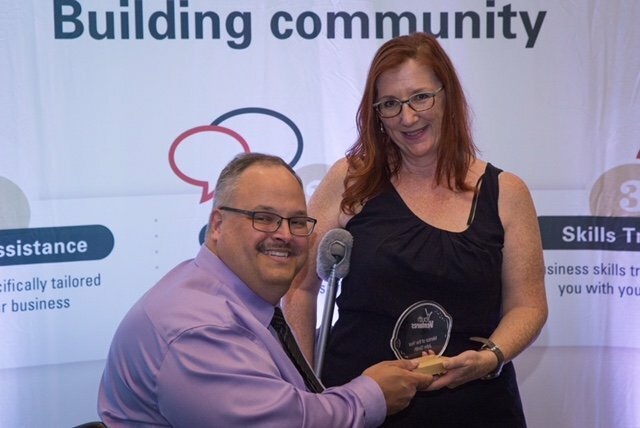 She has experience across numerous fields of work and is committed to the social and economic development in her town of Trepassey. 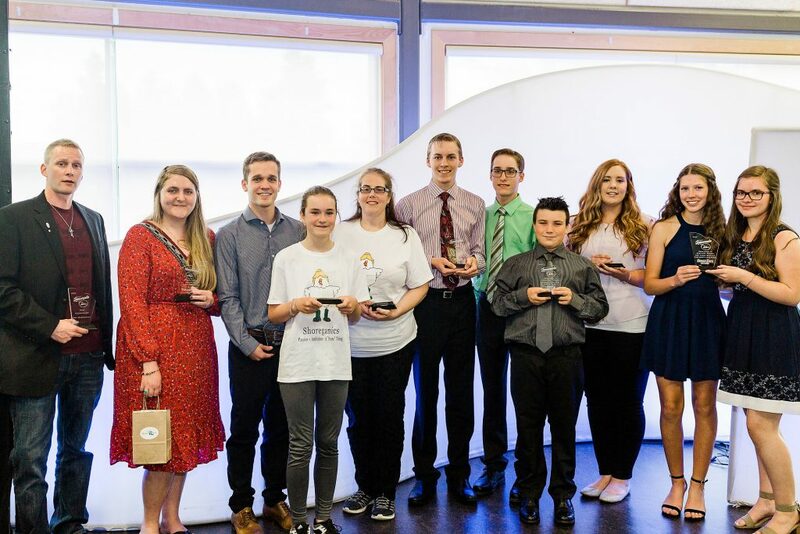 Conception Bay South, NL, August 9th, 2018 – Youth Ventures Newfoundland and Labrador’s 21st Annual Youth Ventures Awards Ceremony is dedicated to celebrating the success of the young entrepreneurs and future leaders of our province while promoting entrepreneurship as a viable career path for Newfoundland and Labrador youth. 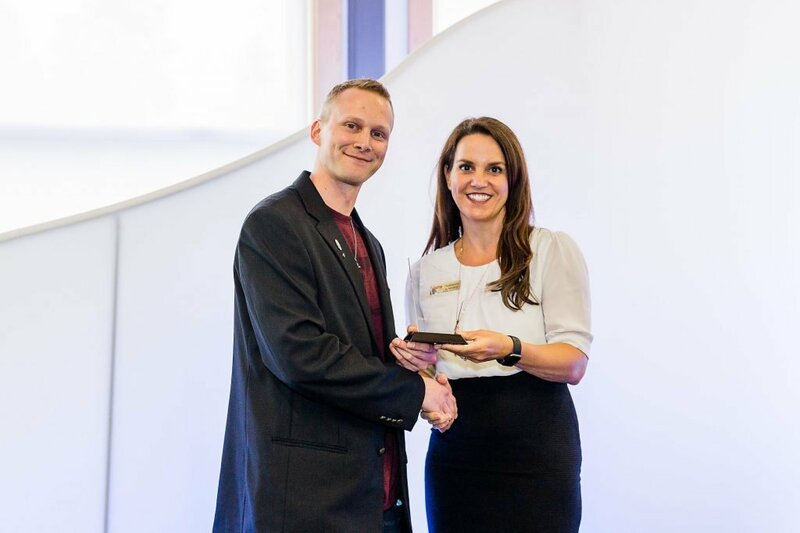 In its 26 years of operation the Youth Ventures program has helped 7000 entrepreneurs start 4350 businesses by providing advice on idea development, business planning, marketing direction, financial advice, hiring employees and more. 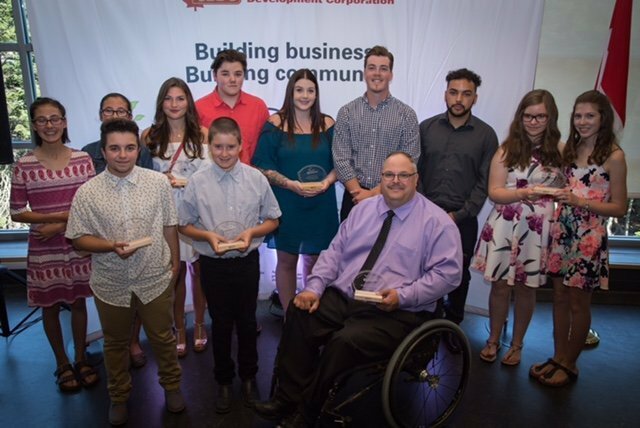 The awards were presented to 7 outstanding entrepreneurs as well as 1 Community Mentor and 1 Youth Ventures Coordinator. On hand to help celebrate these young business owners’ achievements are representatives of Youth Ventures partners: Ken McDonald, Member of Parliament for Avalon, representing the Government of Canada; Betty Parsley, MHA Harbour Main, representing the Government of Newfoundland and Labrador; and Larry Fawcett, Chairperson of the Newfoundland and Labrador Association of Community Business Development Corporation (CBDCs). Nick Whalen, Member of Parliament for St. John’s East and Richard Murphy, Deputy Mayor of the Town of Conception Bay South, were also in attendance. 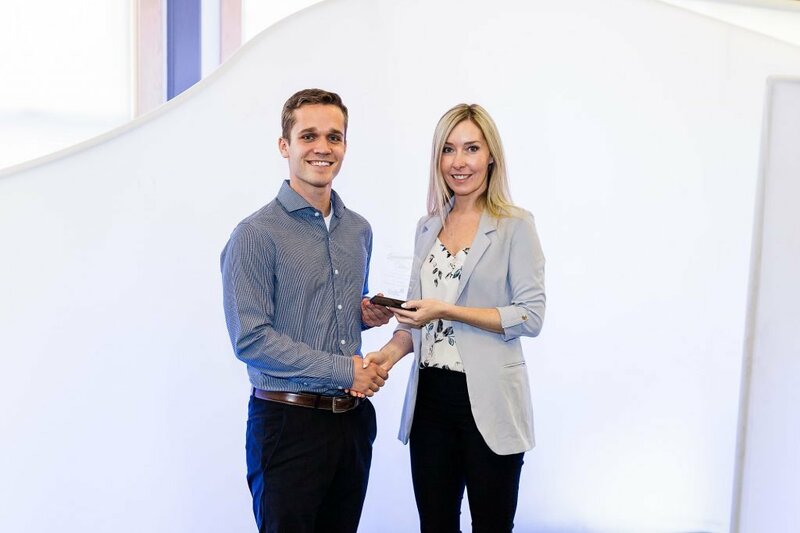 The Atlantic Canada Opportunities Agency (ACOA) provided $425,009 through the Business Development Program (BDP) to enable the Newfoundland and Labrador Association of Community Business Development Corporations to deliver the Youth Ventures Program this year. The Provincial Government provided $95,000 to support this year’s Youth Ventures Program. 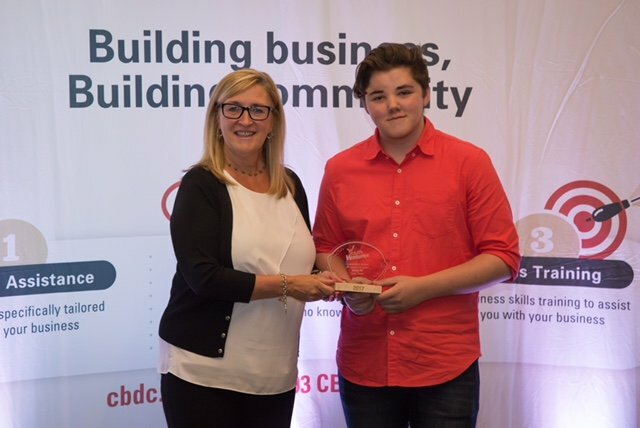 Youth Ventures is a program presented by the Newfoundland and Labrador Association of CBDCs that promotes entrepreneurship as a primary career option for youth in Newfoundland & Labrador. Youth Ventures employs 25 site coordinators across the province to foster youth business development. 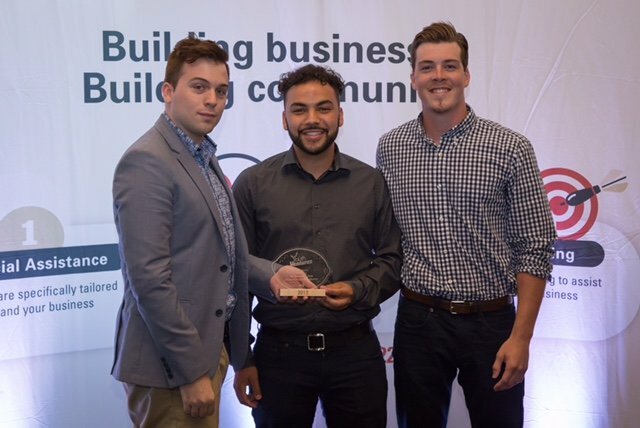 Knowing that they wanted to be their own bosses, CNA students Steven Ryan and Ephraim Messele started The Convenience Crew, a landscaping business based in St. John’s. Growing up in Ferryland on Newfoundland’s Southern Shore, Nathan Ryan has always been inspired by the outdoors. With tourism booming in his hometown, he saw a big opportunity, and created Nathan Ryan Photography! 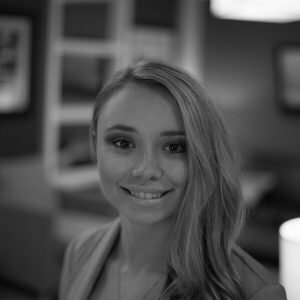 As social media has increasingly become the basis for communication, especially among young people, Collette Garland saw an opportunity. We are so excited to be teaming up again this year with the OZFM Summer Cruiser Team! Catch us out and about at events and grab yourself an OZFM Winners Circle. To celebrate, we will be giving away a Youth Ventures prize pack. All you have to do to enter is use the entry widget below. A winner will be chosen on August 10th, 2018 and notified by entry method. Youth Ventures is looking for extraordinary people to join our team. Youth Ventures began in 1992 on the Northern Peninsula with 2 participants. 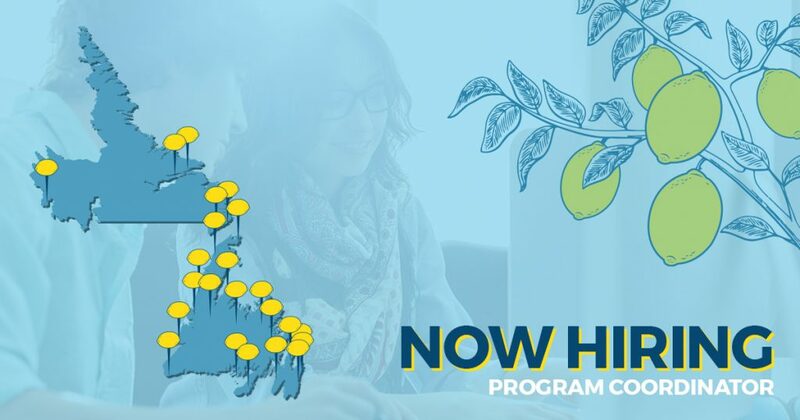 Since then, the program has grown and employs 23 Regional Coordinators across Newfoundland and Labrador who help students start businesses. 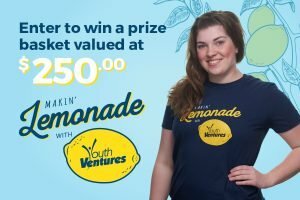 Designed for students 12-29, Youth Ventures works with 300 students and assists with the start-up of 200 businesses each year. Since 1992 the program has helped over 6000 young people explore entrepreneurship. Starting a business can be a career path, or a spare change kind-of operation. It’s all about taking the hobbies and passion participants have, along with the support of Youth Ventures, and making money by doing what they love to do. Youth Ventures has helped start lawn-moving businesses, bake shops, and small-time tech firms that create apps. Youth Ventures Regional Coordinators help participants identify an idea, create a business plan, do market research and point them in the direction of financing (if needed) to get the business up and running. Each of the 23 Regional Coordinators are employed for 16 weeks in a dynamic position. 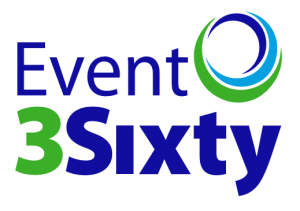 Coordinators counsel entrepreneurs, give presentations to schools, and community organizations, organize events and manage the Youth Ventures programs for their region. It’s an all encompassing type of job that is challenging and rewarding. When you’re craving something sweet, Christian’s Cookies have become the treat.